haa !! well..try to remember the smell of the token..am sure you can remember it. 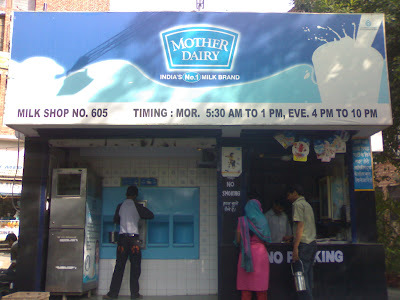 From what I see..the mother dairy seems to be the same everywhere. Cant wait to fall in queue..once more ! A great pic and a great memory. What is the favourite way to drink milk in Dehli? Delhities love milk hot in winters, flavoured and cold through-out the rest of the year.